How can the circuit-switched GSM be upgraded to provide for packet-switched services? What is the function of the new GPRS network elements like the PCU, the SGSN, the GGSN or the Border Gateway? How is the GSM radio interface modified to suit the needs of a packet-switched data transfer service? 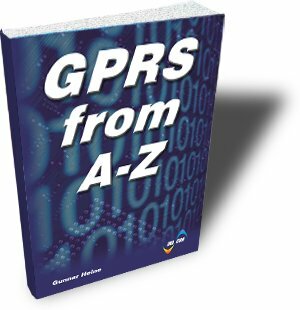 Why does GPRS require new channel types and what are their functions ? Why are some of these channel types like the PBCCH or the PCCCH optional? How does GPRS achieve higher throughput rates per timeslot than GSM? What is the functions and details of the various new GPRS protocols like RLC/MAC, BSSGP or GTP, to name a few? What is the flow of signaling and data transmission scenarios in GPRS? Are HSCSD and EDGE really alternatives to GPRS? How do these technologies work and what are the differences between HSCSD or EDGE on one hand and GPRS on the other hand? Design Engineers of GPRS network equipment and GPRS mobile stations. Network Planners who need to build joined GSM / GPRS networks. Field and test engineers who have to learn GPRS operation and procedures.